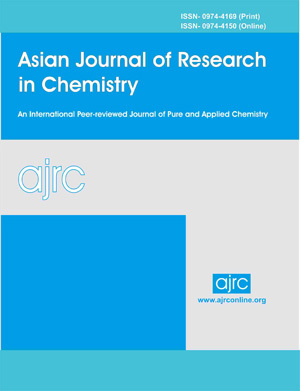 Asian Journal of Research in Chemistry (AJRC) is an international, peer-reviewed journal devoted to pure and applied chemistry. The aim of AJRC is to increase the impact of research both in academia and industry, with strong emphasis on quality and originality. 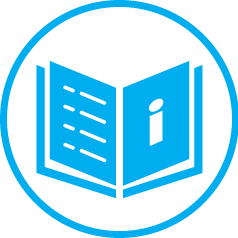 AJRC publishes Original Research Articles, Short Communications, Review Articles in all aspects of chemistry. Topics covered including the traditional areas of analytical, inorganic, organic, biochemistry, forensic, physical-theoretical chemistry as well as newer interdisciplinary areas such as agriculture, materials science, computational, medicine, spectroscopy, polymers, supramolecular, surface, chemical physics, biological, medicinal/ drugs, environmental and pharmaceutical chemistry. The journal is published quarterly every year in last week of March, June, September and December. From January 2011, is monthly and shall be published every year in last week of Month. On acceptance of the manuscript, corresponding author will have to pay Rs. 1180/- (One Thousand One Hundred Eighty rupees only for domestic authors} (Inculding Indian Govt. GST 18%) or $ 100 (One Hundred US Dolor only for Foreign authors), as processing cost. The amount shall be remitted as demand draft payable at Raipur, in favor of A and V Publications. The one printed copy of journal will be posted against the paying of processing fees at the postal address of corresponding author (At Indian Address) . Also one pdf copy of published manuscript shall be send as attached documents at your email. There is no processing fee for co-authors. The article entitled _________________________________is herewith submitted for publication in Asian Journal of Research in Chemistry. It has not been published before, and it is not under consideration for publication in any other journal (s). It contains no matter that is scandalous, obscene, libelous, or otherwise contrary to law. When the article is accepted for publication, I/We, as author/authors, hereby agree to transfer to Asian Journal of Research in Chemistry (AJRC) all rights, including those pertaining to electronic forms and transmissions, under existing copyright laws. I/We agree that copies made under these circumstances will continue to carry the copyright notice that appeared in the original published work. I/We certify that I/We have obtained written permission for the use of text, tables, and/or illustrations from any copyrighted source(s), and I/We agree to supply such written permission(s) to Asian Journal of Research in Chemistry (AJRC) upon request.